Live updates of the Friday night clash between the relegation-threatened Southampton and title-chasers Liverpool. Liverpool return to the top of the PL table on a dramatic night at St Mary's. Another gutsy late show from Klopp's men. Salah picking the perfect moment to end his goal drought and Henderson having the final word. Keita had cancelled out Long opener. Mohamed Salah has now scored 50 goals in just 69 appearances for Liverpool in the Premier League; only Alan Shearer (66 - Blackburn) and Ruud van Nistelrooy (68 - Man Utd) reached the milestone in fewer apps for a single club in the competition. Nifty. 90+2 Goal, assist and now a yellow card. Jordan Henderson puts in a crunching tackle on Nathan Redmond and deservedly goes in Paul Tierney's book. 90' Heroic defending from Firmino. Sims runs onto the ball in the right channel, tries to cut into the box and Robertson takes him out. It's a definite free-kick, never a penalty because it's two yards outside the box, but it doesn't matter anyway because Firmino powers a header away from inside the box. He's been exceptional for Liverpool tonight. 86' HENDERSON HAS SURELY WON IT! Matip unleashes Firmino down the right-hand side who does superbly to make something of very little. The Brazilian waits for the right moment and plays in Henderson who is there to smash his first Liverpool goal since September 2017. The Englishman has also scored and assisted in a Premier League game for the first time since December 2015 against West Brom. Liverpool will be returning to the top of the Premier League table. 83' The Saints make an attacking double change. Charlie Austin and Stuart Armstrong are on for Oriel Romeu and Jannik Vestergaard. That's a striker and attacking midfielder for a holding midfielder and defender. It's the Egyptian ace's 50th Premier League goal in Liverpool colours. 80' I don't believe it! Mo Salah has just made me eat my own words with a fine solo goal! The drought is finally over. The corner eludes everyone, but is crossed back in, Sims takes too many touches and is tackled, Ward-Prowse tries to power one in but is blocked by Mane and Robertson's header sends Salah away! He runs up the pitch at electrifying speed, and has Firmino next to him in a two vs three but just waits until the edge of the box before pulling the trigger right as the tackle comes in. It's an exquisite finish. 73' Massive chance squandered. Sadio Mane slips in Andy Robertson, who overhits his cross despite Salah in a perfect goalscoring position. The Egyptian was in the centre if the Scot had whipped in a low pass. Salah looks absolutely devastated. Could it be a nine-game goal drought? 67' Liverpool playing with real intent now. The Reds are knocking on the door with purpose. Keita picks out Firmino, who flicks the ball over a defender's head but then has his shot blocked by Maya Yoshida. Then James Milner has an effort from outside the box which is also blocked. 65' Mane plays a smart aerial one-two with Salah but Jan Bednarek does well to beat the Senegal man to the return ball and head it back to Angus Gunn. 63' Southampton make a change - Josh Sims is on for Shane Long. The Irishman gives him a hug as he comes off. It now means that Nathan Redmond will play at centre forward now. 58' Moments before the Liverpool substitutions there was a penalty shout. Keita went on a run, gave one-two with Mane, in the box and went down! The midfielder's touch put the ball ahead of him, the slide tackle from Yoshida comes in and he goes down. The referee said no penalty... 1-1. 58' Alexander-Arnold OFF, James Milner ON. 51' Southampton keep up the pressure, Bertrand whips a cross in, Valery does the same on the opposite wing, Saints win a corner. The visitors don't like this high tempo game they're being forced into. They want to be the ones out-running the opposition. Another stat for you. Southampton have lost 20 points from leading positions this season - the most in the division. 48' Dangerous start from the hosts who take advantage of another mistake by Liverpool's midfield! Valery's cross into the box doesn't quite reach a Southampton head, Liverpool try to break and Bednarek takes a yellow card for holding onto Mane. 1-1. The players are back out for the second half. We are seconds away! 454 - Southampton have gone 454 minutes without scoring against Liverpool in league play, last doing so via an 86th minute winner from Sadio Mané against his current side in March 2016. 50 - Shane Long is the fourth player from the Republic of Ireland to register 50 Premier League goals, along with Robbie Keane (126), Niall Quinn (59) and Damien Duff (54). Clover. 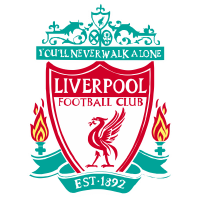 5000 – Shane Long’s strike was the 5000th English top-flight goal Liverpool have conceded, coming almost 125 years after Coombe Hall netted the first ever such goal against the Reds for Blackburn, back in September 1894. Keita's first goal for the Reds cancelling out Long's opener at St Mary's. Klopp's side have improved after a wretched start. Showing their powers of recovery once again. 40' The tides are starting to turn as it's very nearly 1-2! A cross from the left and Mane is there to head at goal but doesn't connect properly and goes wide. 36' Liverpool are level. Salah appears to be sent through in an offside position. The Egyptian crosses in and Southampton clear, Robertson crosses the ball back in, but, Salah is beaten by it by Bertrand and Alexander-Arnold follows up on the right with a marksman like cross in and Keita powers a header past the goalkeeper. 1-1! 30' Another wild shot as Firmino tries a spectacular volley from 30 yards but doesn't connect properly. Klopp doesn't look too impressed on the sidelines. Liverpool still trailing 1-0. 25' Southampton are look really dangerous on the counter. There's too much pace and Liverpool seem vulnerable in numbers at the back. Romeu and Hjojberg are moving the ball around quickly and nicely. Off the ball they're defending really deep though. They're getting touches in the box too, it's just that this opening half hour has been relentless from the home side. 19' Liverpool are a complete shambles at the back in the opening exchanges. Trent Alexander-Arnold blasts the ball straight at Nathan Redmond. His cross is on a plate for Shane Long six yards out but he fails to make contact and Van Dijk boots it behind. 15' Big chance for Liverpool. Mohamed Salah is looking menacing on the right-wing charging at the Saints defence but is tackled but manages to get the ball back and crosses a teasing ball towards Sadio Mane. His header is parried by Angus Gunn and Naby Keita turns the loose ball into the side-netting. 9' It's Shane Long's first league goal against the Reds. The Irishman has been a nightmare in cup competitions for Liverpool but he now is doing damage against the title-chasers in the league. Bertrand crosses to the near post, it's headed on and beating both Matip and Van Dijk and somehow Liverpool's defence has been torn apart by one lofted pass, leaving Long stood on his own outside the six-yard box. A touch to set up and a thumped volley into the corner makes it 1-0! It was the 200th goal Klopp has conceded with Liverpool as manager. 9' The Saints are in the party-pooping mood, clearly, Hasenhuttl didn't get the title-chasing memo from Klopp and his players. 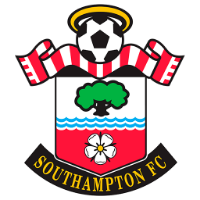 6' Southampton breaking with pace, Ryan Bertrand is sent away by Nathan Redmond on the overlap but Van Dijk heads it behind for a corner. James Ward-Prowse takes the set-piece, but it's headed away. Both teams showing attacking intent so far. 3' Southampton starting with a very deep 5-4-1 formation, Liverpool with no options in the opposite half, except for when they do as Salah nips into the area and wins a throw-in. Van Dijk is being booed whenever he gets on the ball. Oh, how they miss him. The players are emerging from the tunnel with kick-off imminent here at St Mary's. Stay tuned! Southampton XI: Gunn, Valery, Bednarek, Yoshida, Vestergaard, Bertrand, Ward-Prowse, Romeu, Hojbjerg, Long, Redmond. Subs: McCarthy, Stephens, Targett, Armstrong, Sims, Austin, Gallagher. Liverpool XI: Alisson, Alexander-Arnold, Matip, Van Dijk, Robertson, Fabinho, Wijnaldum, Keita, Salah, Mane, Firmino. Subs: Mignolet, Lovren, Moreno, Milner, Henderson, Shaqiri, Origi. It wouldn't be a Joshua Kerr live blog if there weren't some tasty stats to get your teeth into, so, I've decided to give the fans what they want. Liverpool have won their last three Premier League games against Southampton - they've never won four in a row against Saints in their league history. Southampton have won five of their 10 Premier League games against Liverpool at St Mary's - they've only beaten Everton more often at the ground in the competition (6). This will be Southampton's first top-flight home game on a Friday since December 1991 (1-1 vs Notts County) with all five of their such games in the Premier League coming away from home (W1 D2 L2). Liverpool have conceded just nine goals in 16 away league games this season, the joint-fewest along with Man City. In fact, they've shipped more than once on one occasion on the road this season, in what was their only league defeat so far in 2018-19 (1-2 vs Man City). Liverpool's Mohamed Salah has scored in all three of his Premier League appearances against Southampton, netting four goals in total. Mohamed Salah hasn't scored in any of his last eight appearances in all competitions for Liverpool - his longest run without a goal since a run of 10 games with Roma between November 2015 and January 2016. Liverpool manager Jürgen Klopp won the only previous meeting between him and Southampton's Ralph Hasenhüttl, with Klopp's Borussia Dortmund beating VfR Aalen 4-1 in a German Cup match in October 2012. Liverpool defender and their standout player of the season Virgil Van Dijk has been passed fit to face his former club. The centre-back sustained a knock to his ankle in the 2-1 win over Tottenham but has trained this week without any problems. Joe Gomez and Alex Oxlade-Chamberlain are back in full training but are unlikely to be included yet following lengthy spells on the sidelines. Gomez hasn't played since a fractured leg at Burnley whilst Oxlade-Chamberlain still hasn't fully recovered from the ankle injury against Roma back in April 2018. Shane Long and Jannik Vestergaard could return for Southampton after missing last week's win over Brighton with groin problems but both are back in training. Danny Ings cannot play against his parent club during his loan-move from the Reds while Mario Lemina and Michael Obafemi are still injured. Despite being five clear from danger and a seemingly new team that has a club revived under the tutelage of Southampton manager Hassenhuttl, the Saints manager has warned his side that they are not safe just yet. "We know how tough it is and there are still a lot of points to get, so we have to stay focused," he said. "There is still a long way to go and the sooner we get to 40 points the better." Despite playing a Liverpool outfit that are unbeaten in their previous 13 matches in all competitions, Southampton are on a run of form themselves having won three of their last four league matches with is something that has made Reds manager Klopp very cautious ahead of the trip to St Mary's. "I have to say the job he [Ralph Hasenhuttl] is doing there is incredible. 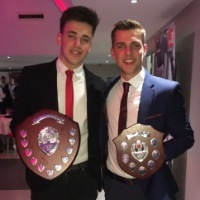 He brought young players in, academy players, a pretty brave decision," said Klopp. "It's a really good side and the analysis was really interesting because it doesn't look like a team that fights to stay in the league. "The games they lost, they were unlucky rather than playing bad, I would say. I think they are eighth in the form table, last 15 games at least, so that means they are fighting for the league and that gives you good information about the intensity of the game probably." However, it's a different story for Southampton, who are currently five points clear of the relegation places with two of those spots already sealed by Huddersfield and Fulham who will both be playing in the Championship next season. The Saints are level on points with Burnley and Brighton on 33 and will be fully aware that a win could see Ralph Hasenhuttl and his team begin preparations for next season. Southampton and Liverpool are both in need of vital points when they meet in the South Coast on Friday. 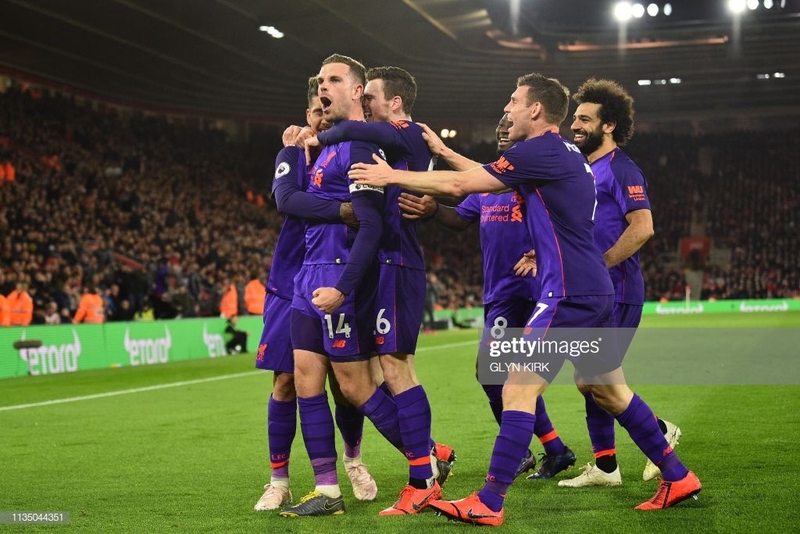 The Reds know that a win will see them go back to the top of the Premier League table with Jurgen Klopp's side currently trailing champions Manchester City - who are in FA Cup semi-final action against Brighton this weekend - by a single point.